BlockOn is a blockchain and cryptocurrency platform for corporate incubation projects consisting of seminars including panels, keynotes and fireside chats accompanied by roundtables and demos to and from the blockchain community. A platform that aims to provide knowledge exchange, foster synergies among market players to find solutions, and implement and promote best innovative blockchain practices in a collaborative, open and transparent manner, therefore cooperation with KYCBench is aimed to provide compliance and bring AML practices to adoption and life. BlockOn helps innovators from seed to sale, guiding them starting from the development of their idea and road maps, accelerating their development and customer acquisition efforts, connecting with and secure investment and partnerships, and gaining visibility through online and in-person community building efforts. In addition to client services, BlockOn is a premiere hosts of the most impactful blockchain events in the ASEAN (Association of Southeast Asian Nations) region, cooperating with some of the biggest players in the ASEAN government, private sector and beyond. 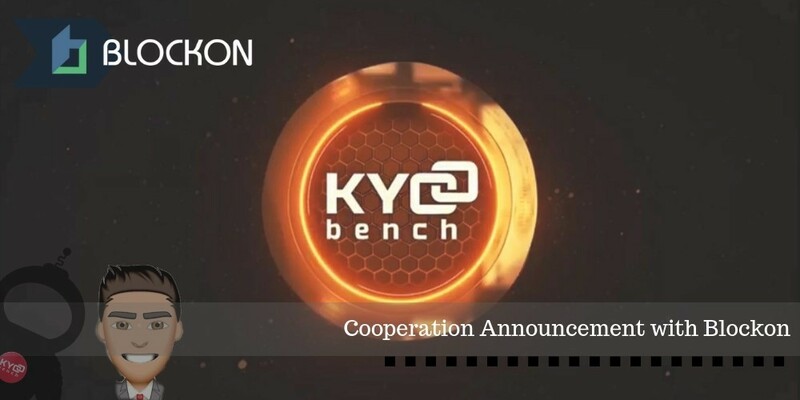 Partnership with KYCBench and the most active communities in the Asian cryptosphere is set up to serve common idea of commitment to revolutionizing the cryptoworld and professionalizing the blockchain space.